Throughout history, South American nations have had their futures decided by a small number of people. It began with the Spaniards, who, as soon as they touched ground, let two or three religious and political authorities rule from 5,000 miles away. Sadly, little has changed since then, except now the ruling few are the corporate elites, empowered through government deals like the recently ratified free trade agreement between Colombia and the United States, NAFTA, and thousands of illicit licenses given to multinational companies. But this trend is beginning to change, as protests in Peru over the last month have challenged the country’s largest mining project. The story of this ambitious and dangerously exploitative project dates back to 1993, when the US company Newmont Mining Corp. arrived in Peru to open the Yanacocha gold mine in Cajamarca, a region located in the North of the country. Using a process called “micro-mining,” which requires large quantities of a dilute cyanide solution to capture minuscule pieces of gold, Yanacocha ended up contaminating the region’s water sources–a fact overloked by then-president Alberto Fujimori and his intelligence strongman Vladimiro Montesinos. When they left power in 2000, their many crimes over the years began to come to light. In regards to Yanacocha, it was revealed that Montesinos accepted bribes from Newmont to convince the Peruvian Supreme Court to allow its mining operations in Cajamarca. For 18 years, the people of Cajamarca have used water that was contaminated with chemical waste to irrigate their crops and, in a chain of disasters, it has affected their animals as well. Farmers reported widespread livestock deaths and a 40 percent decrease in crop yields, since 2009. The contamination has also caused breathing illnesses in children, denounced by the inhabitants but continually denied by national health authorities. 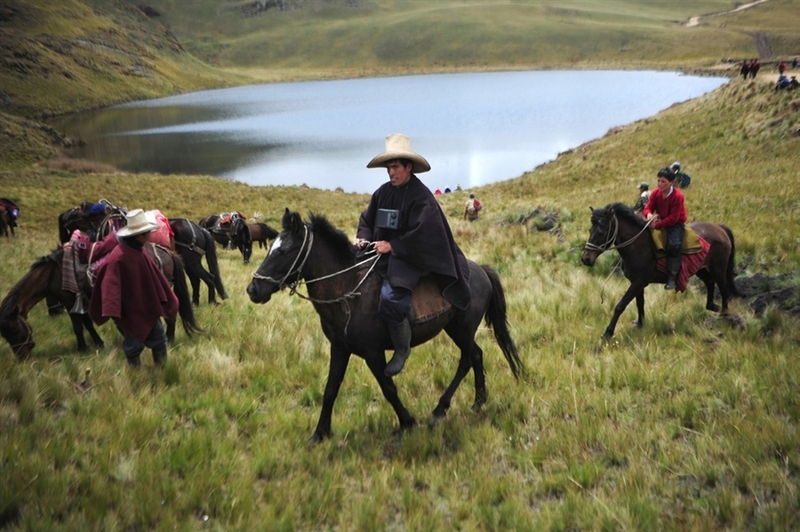 Today indigenous people and peasants are fighting against the recklessness of the few by rejecting the new Yanacocha project Conga, which–due to the amount of water it’s expected to consume–will lead to the disappearance of the region’s many lagoons. 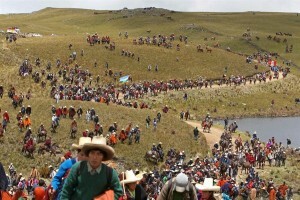 At least three have already disappeared due to Yanacocha’s over use of water. The fight against the Conga project has been brutal, and even some violent uprisings have taken place. On the sixth day of protest, eight people were shot with pellets by the police, and three police were injured. The media insisted on covering these images, encouraging the institutional rejection to the protests. But nonviolence has prevailed among the demonstrators who condemn the contamination of water as a violent act coming from the private interests in collusion with the State. Current President Ollanta Humala has used the issue to his advantage. 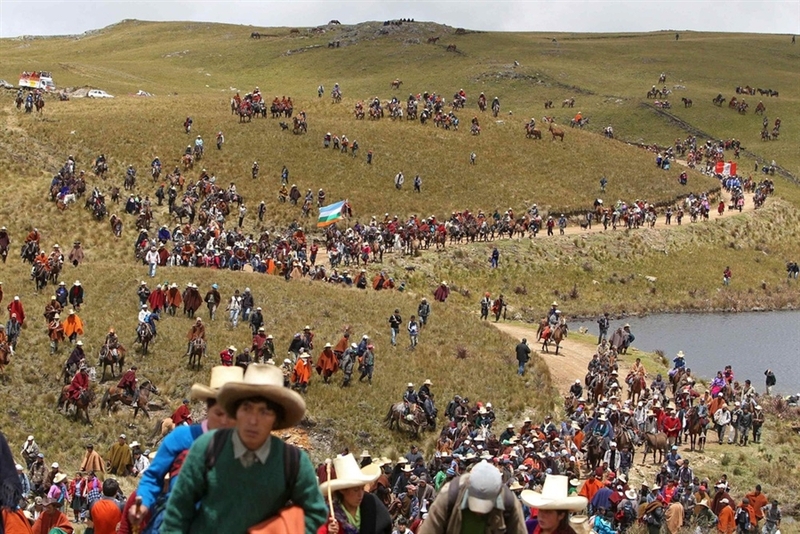 Before being sworn in to office in July, Humala announced his total commitment to the protesters’ cause, insisting that “the lagoons of Cajamarca are not for sale, because you can’t drink gold, and you don’t eat gold.” But seven months later–in order to stave off protests and resume mining operations–Humala’s cabinet declared a 60-day State of Emergency for the Cajamarca region, suspending such constitutional rights as personal safety, home inviolability and freedom of reunion and association. Given that seven percent of the Peruvian GDP comes from gold and mineral mining, companies like Newmont can rely on governmental support when dealing with protests and strikes. So far, 6,000 Yanacocha workers joined the strike that forced Newmont to suspend its operations for more than a week last month, which then led to the suspension of the Conga project. The Peruvian movement against mining companies is growing in strength and along with the protests in Cajamarca, it has expanded to Puno in the South, and 14 other regions as well. If the government will finally decide to give up their claims in Conga, it will have to do the same across the country and the main threat will be over the national short-term finances. The State of Emergency was lifted on Friday after local leaders agreed to talks and suspended protests, but the prospect of negotiations yielding anything positive remain uncertain. First Minister Salomon Lerner recently resigned after a previous fruitless five day attempt at negotiations. The demonstrators have stated their commitment to returning to the streets every time Newmont attempts to restart the Conga project without taking measures to prevent the destruction of their community’s environment, health, and ultimately, its future. For this, the Peruvian movement stands as an example to other Latin American countries, where mining projects are still in a negotiation stage and the prospect of short-term profits is still alluring. As a story that is repeated all over the world it is indeed an example and lesson to others in the region and elsewhere. In addition to the commitment to nonviolent methods and acting early, before a mining contract has been officiated, what are those other lessons that can be learned from this case? As we can see from the case of the Belo Monte dam in Brazil, resistance early and often was not enough to prevent the government from allowing the dam construction to begin. I am also wondering if the “Free, Prior, and Informed Consent” laws come into play in Peru at all? I hope you will continue to cover this story as it unfolds, I look forward to reading more! Thanks for your comment Althea! Well, about another lessons I’d say that unfortunately most of this movements die once the company offers enough money and cover the destruction with information about income for the country, employment generation and some other temporary benefits. This deception is easy when you are dealing with humble peoples. The point is that you can analyse other’s intentions from your own perspective, from your own way of living and most of the indigenous and peasants have no material ambitions, no exploitation ambitions more than: peacefully coexist with nature and get from it just enough for a good and decent life. Then, this conviction of having a moderated life, a sustainable one must be stronger enough to change the perception of indigenous and peasants as obstacles to development. 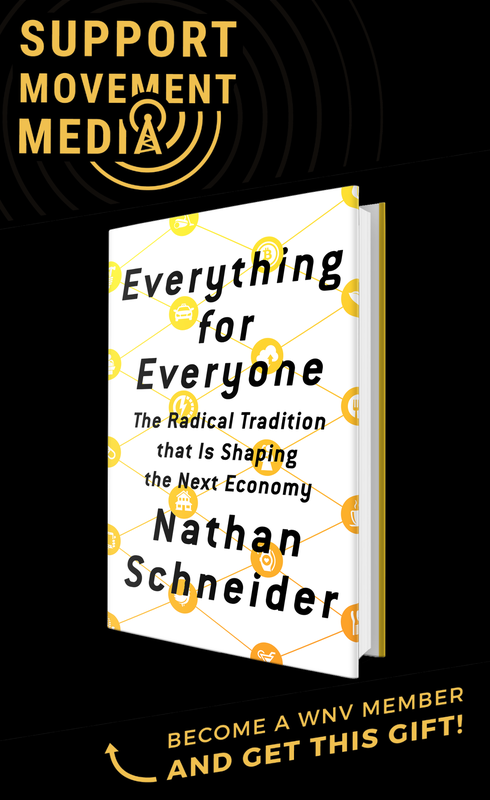 The whole idea of development based on over-exploitation must then also change. And definitely, in this case as in many others in Latin America, the “previous consultation” is ignored by the companies or even the government. For example, in mining consultations here in Colombia, sometimes the mining company come to the town, offer food or clothes to the people and make them sign the “receive” … this signatures are later used as prove of “free, prior, and informed consent”. 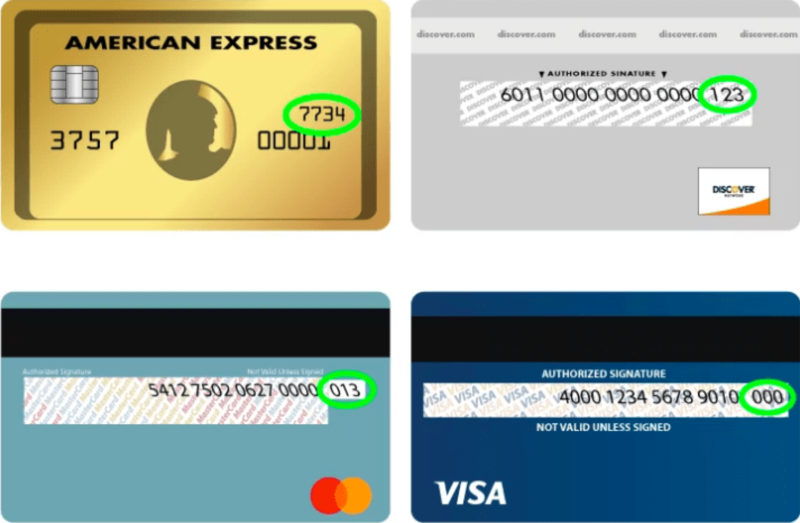 The government knows this but still, gives the correspondent licences of exploitation.